Hotels in Europe. European hotels. Hotel and self-drive holidays in Europe. We are please to be partners with booking.com for all their hotels in Europe. After extensive personal testing of their booking process and hotel range, we believe that booking.com offers the best online hotel search and booking experience. They have hotels in every price range as well as apartments and make no charge for their service. Their communication is first class. Previously Drive-Alive offered our own carefully chosen hotels, but we now believe that booking.com, with their much greater resources, provide everything we can and more. So if you're looking for the greatest range, price matching, tourist guides tailored to your destination, rewards for loyalty and responsive customer service, book with booking.com in partnership with Drive-Alive. All the major hotel chains plus many independent hotels and apartments. Best Western hotels in France, Spain, Belgium, The Netherlands, Norway, Italy and Austria. Campanile hotels in France, Belgium, Luxembourg, The Netherlands, Spain and Italy. Ibis hotels in France, Germany, Belgium, Austria, Spain, Italy, Luxembourg, the Netherlands, Switzerland and Andorra. Jolly Hotels hotels in Italy, Amsterdam and Brussels. 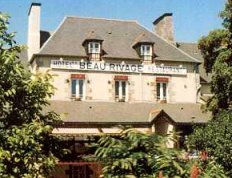 Logis de France hotels in France, Belgium Luxembourg, Italy. Mercure hotels in France, Andorra, Austria, Belgium, Germany, Italy, Luxembourg, Netherlands, and Spain. Minotel hotels in Switzerland, Germany, Belgium, Austria, Spain, The Netherlands, Norway and Italy. Novotel hotels in France, Austria, Belgium, Germany, Italy, Luxembourg, The Netherlands, Spain and Switzerland. Rainbow Hotels hotels in Norway. Relais du Silence hotels in France, Belgium, Italy, Spain and the Netherlands. The "from" price shown against each hotel helps you decide if the hotel is in your budget. The actual price of your chosen hotel (or hotels) is displayed once you have chosen your room types and dates. GUIDE PRICES ARE PER ROOM NOT PER PERSON. DOUBLE BEDS - In many Continental hotels outside France a double bed is 2 large specially designed singles joined together, often with separate bedding. COMPLIMENTARY TEA AND COFFEE MAKING FACILITIES IN THE ROOM - This is by no means a standard offering in European hotels, and most hotels in France do not offer it.